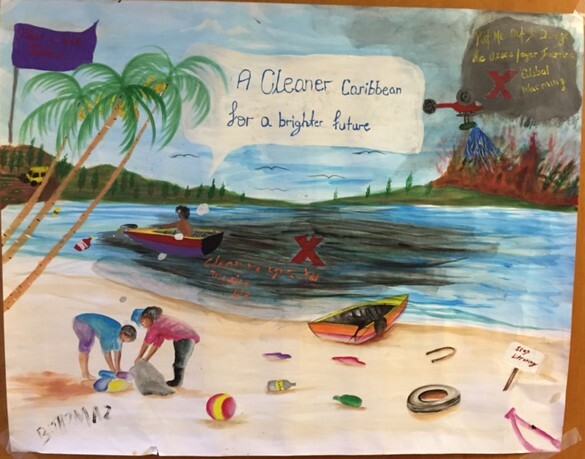 Ms Shonte Scott and Mr Brandon Thomas are the junior and senior winners respectively, of the 2015 Florida-Caribbean Cruise Association (FCCA) Foundation Children’s Environmental Poster Competition in Grenada. 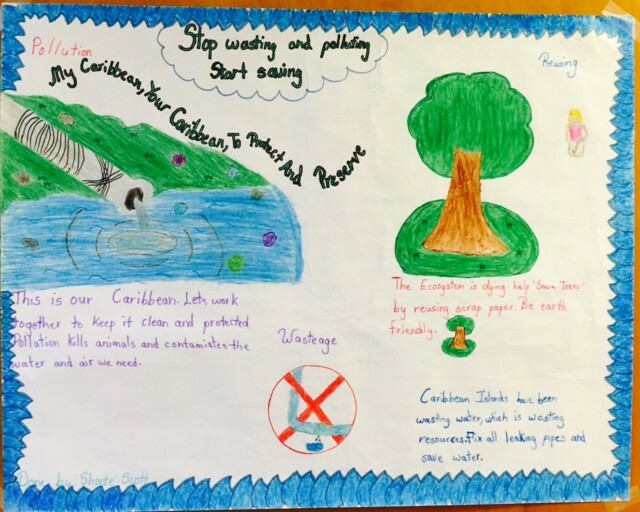 This year’s theme, “My Caribbean, your Caribbean, to protect and preserve” challenged youngsters to create artwork that depicts three ways that their countries can make a difference in preserving the environment. “I thought about some of the environmental issues that we face, especially those that lead to global warming. I wanted to demonstrate these in the poster,” said Mr Thomas at the prize giving ceremony. He is a Form 5 student of the Grenada Christian Academy, and a passionate artist. Ms Scott, now a Form 1 student of St Joseph’s Convent, St George’s, won the junior category, while representing the Constantine Methodist School. Her poster illustrated the dangers of pollution, protection of the ecosystem, and management of water use. “Congratulations Brandon and Shonte! 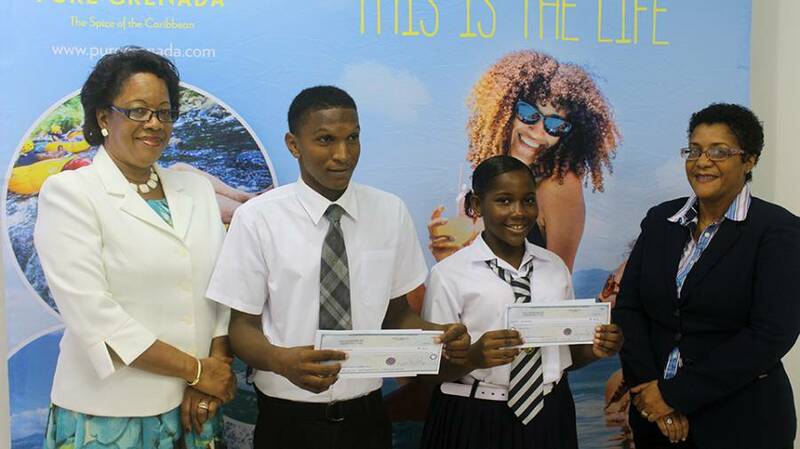 We look forward to next year’s FCCA poster and essay competitions, where more students can take advantage of these types of rewards for their creative talents,” said Mrs Nikoyan Roberts, Nautical Development Manager at the Grenada Tourism Authority. The Grenada Tourism Authority is a member of the FCCA, and will attend the 22nd Annual FCCA Cruise Conference & Trade Show in October.